If you’re not a pretentious customer, then you won’t care if the tablet doesn’t have a sharp screen. 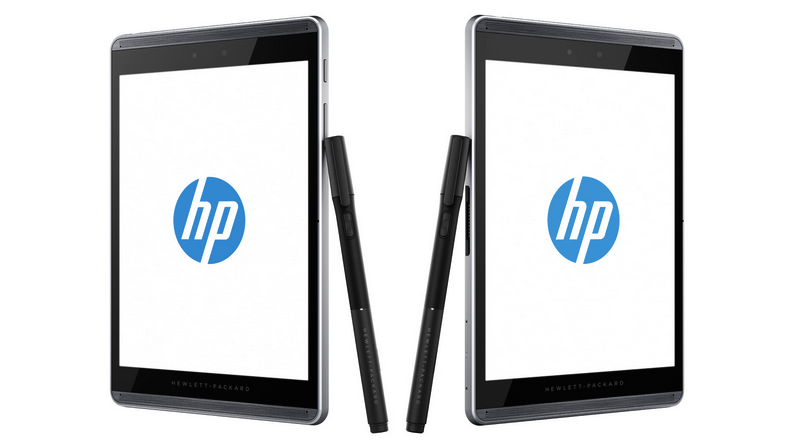 In this case, HP’s Pro Slate 12 is exactly what you’re looking for. It’s not as fast as Samsung’s Galaxy Note Pro 12.2 and the screen resolution is considerably lower, but at least it has an affordable price ($545 on Amazon). The tablet comes with a Duet Pen with which you can take notes, directly on the screen, while the battery has a long life. More details about this tablet’s specs you’ll read below. The HP Pro Slate offers a 12.3inches IPS LCD screen that supports maximum 1200 x 1600 pixels resolution, which gives a pixel density of only 163ppi. It’s kind of disappointing, considering that the Note Pro supports 2,560 x 1,600 pixels on a screen with the same size, while the Venue 11 supports 1,920 x 1,080 pixels on its 11inches display. So, if you’re a photographer or designers, the Pro Slate is not the best recommendation for you, because it doesn’t offer image precision. However, you’ll be happy to hear that the front panel is protected with Corning Concore Glass, a material that reduces the thickness of the screen, but it’s not as efficient as Gorilla, so the screen is prone to scratches. Also, you won’t be able to view much on it if you’ll look at the screen in direct sunlight, but if you’re in a dark environment, the images won’t be affected. On the outside, the HP Pro Slate looks gorgeous. It has a silver-looking plastic case with black bezels and speakers located on the top and bottom edges. The tablet has a thickness of 8mm, a height of 300.3mm and a width of 222mm, resulting in a total weight of 850grams. It’s heavier than the Venue 11, which weights 720grams, but it’s much thinner than this tablet, which measures 10.7mm. 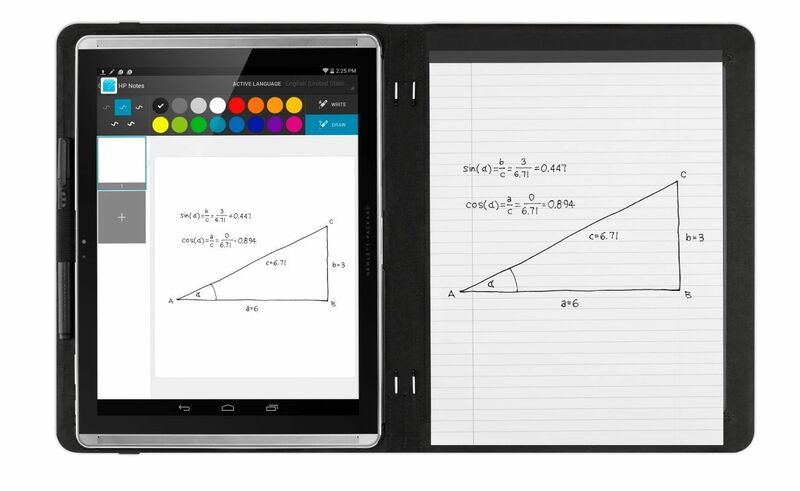 The Note Pro is lighter at 750grams and thinner at 7.8mm, but this tablet has a plastic coarse-textured back. The tablet has a micro USB 2.0 port, a 3.5mm stereo headset/headphone/microphone jack and a ZIF connector with pogo pins. The Pro Slate 12 sports a primary camera of 8MP with autofocus and HDR, but it lacks LED flash, while the secondary camera is 2MP and if you’re thinking about taking photos with this tablet, we suggest you to use your smartphone instead, and to transfer them via Bluetooth, in case you want to look at them on a larger screen. Inside of the Pro Slate, HP stuffed a Qualcomm Snapdragon 800 chipset with a quad core Krait 400 processor clocked at 2.3GHz, which is backed by 2GB of LPDDR3 (800 MHz). There are two variants of internal storage: one with a capacity of 16GB (eMMC), which can be doubled with a microSD card, while the other variant has a capacity of 32GB and it’s not expandable. If you know that you’re the type of person who uses to store a lot of data on a mobile device, we suggest you to save it in the cloud and to free up space on your tablet. The Pro Slate was launched in January 2015 with Android v4.4.4 (KitKat) and hasn’t received any update yet. Some of the native Android applications that come installed on this tablet are Photos and News & Weather. In terms of connectivity, the Pro Slate supports 802.11ac with antenna diversity (Miracast-enabled); Bluetooth 4.0+LE and NFC with support for Android Beam. Geekbench 3’s Single-Core score was 908 and the multi-core score was 2,794, being below average. A better score obtained the Dell Venue 11 Pro 7000 with a score of 5,000, while the Note Pro 12 barely defeated the Pro Slate with a score of 2,797. The Surface 3 with a Core processor had a score of 3,300m, while the Surface Pro 3 with a Core i5 processor scored 5,500. The iPad Air 2 is somewhere in the middle with a score of 4,500. The Pro Slate is powered by a non-removable 21 Wh Li-Po battery which lasts 10 hours and 9 minutes when playing videos with the screen brightness and volume set to 50 percent. The manufacturer claimed that the tablet dies after 12 hours, but the test proved what the real battery life is. However, the Dell Venue 11 Pro 7000 has a mediocre life of only five hours, while the Note Pro 12.2 can last up to 9 hours and 30 minutes, even with a sharper and more vibrant display. Likewise its Pro Slate 8 brother, the Pro Slate 12 comes with a Duet Pen which contains built-in ultrasonic microphones which give you the feeling that you’re writing on a piece of paper. The pen can be recharged and it’s compatible with applications such as HP Notes and Corel Painter Mobile.